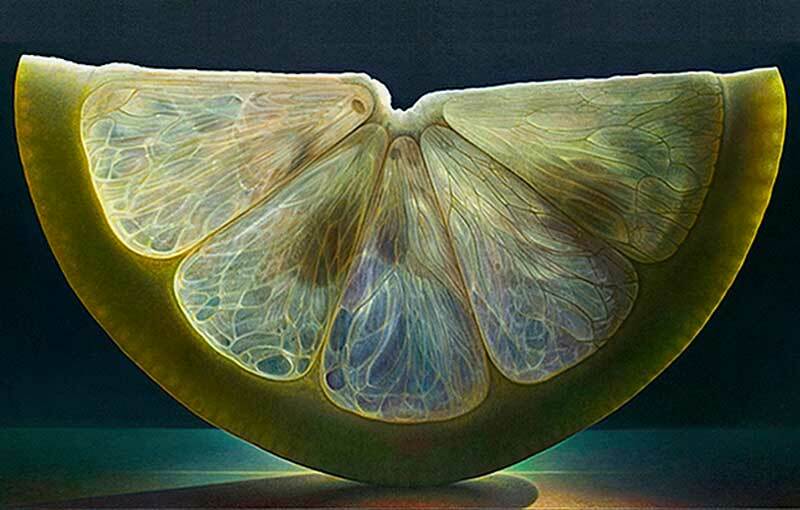 You can admire every particle of the fruit due to the painting details, including the tiny seeds hidden in within the citrus. It looks so juicy that it even makes you want to squeeze it. Its perfectly symmetrical layers remind us how perfect nature is. While admiring this piece of art you might forget it is an actual painting. A heightened approach to what hyperrealist is. This painting includes Wojtkiewicz’s distinguished pastel colors and juicy senses. 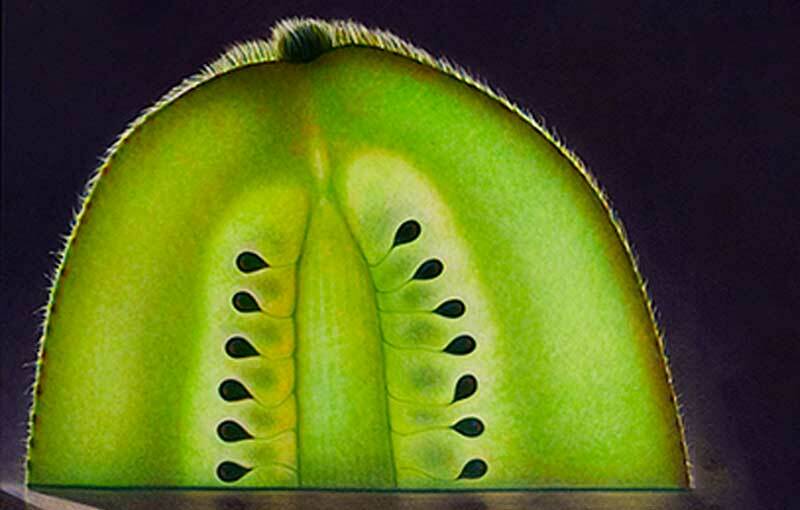 You can even observer the fuzz around this oversized kiwi. Denis Wojtkiewicz did a great lighting job and shade exploration. This artwork looks like a picture with a backlighting effect. It seems like if its interior glow was inviting us to grab it to enjoy its sweet juicy flavor. Hyperrealism, an independent movement intended to represent through a high-resolution art what reality looks like. 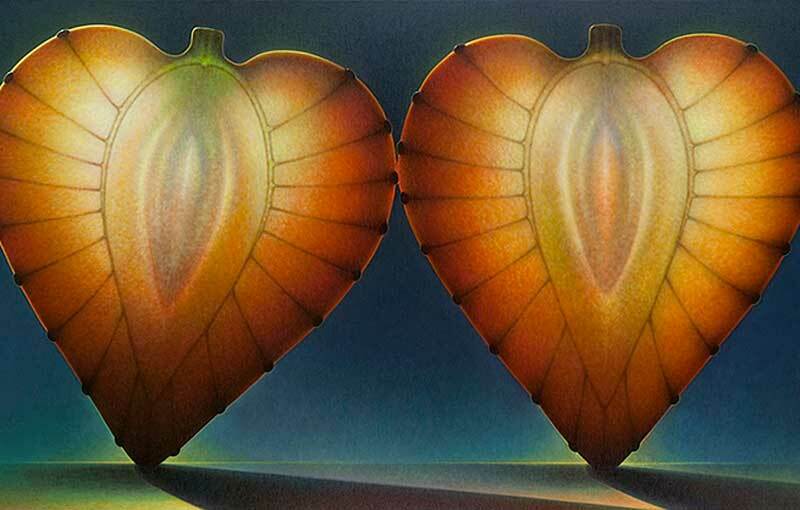 It is also considered as an imitation of photographs through painting or sculpture. 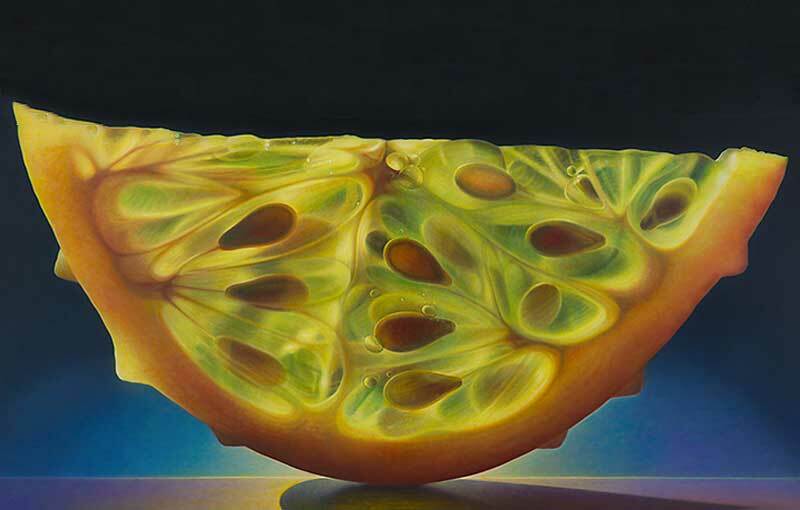 Denis Wojtkiewicz uses on traditional oil paint his brushes to create astonishing duplicates of large scale fruits and flowers through a classical application method. See for yourself the remarkable talent of Denis Wojtkiewicz, and try not to get hungry. 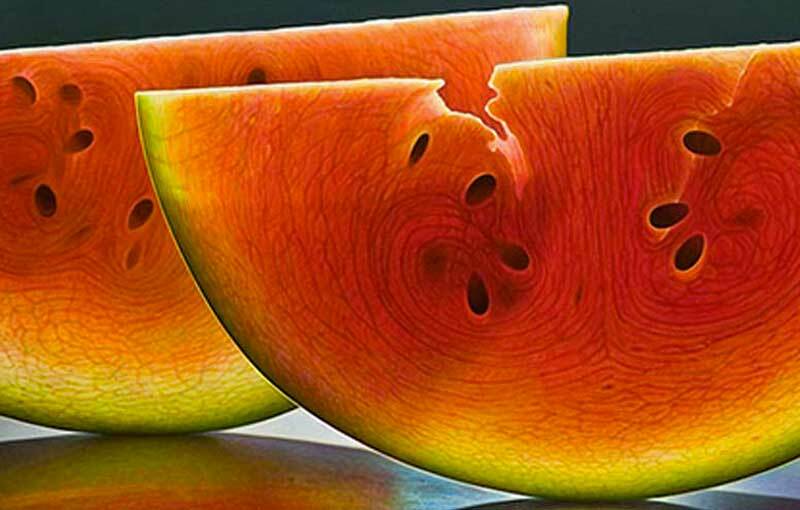 The current professor of art at the Bowling Green State University has shown his work in many international art fairs and his distinguished fruit paintings decorate fancy cocktail bars all over the world.